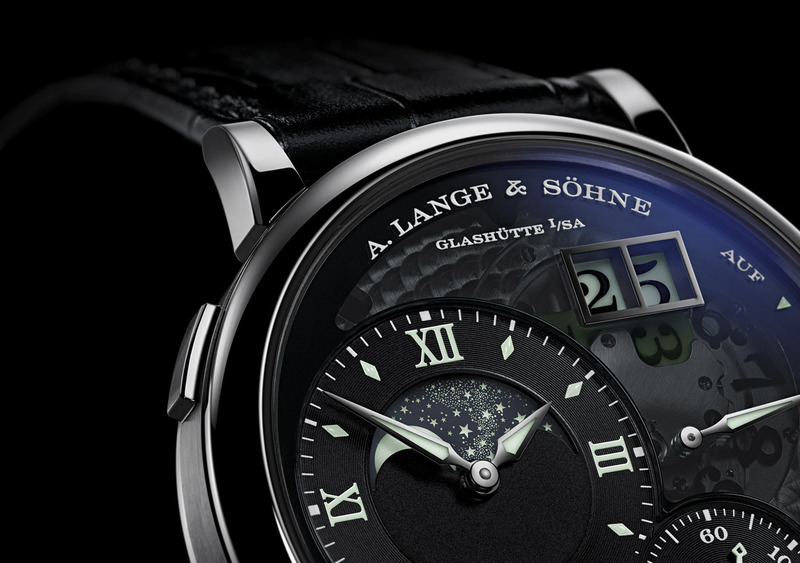 Since 1994, A. Lange & Söhne has secured a leading position among the world’s finest watch brands. 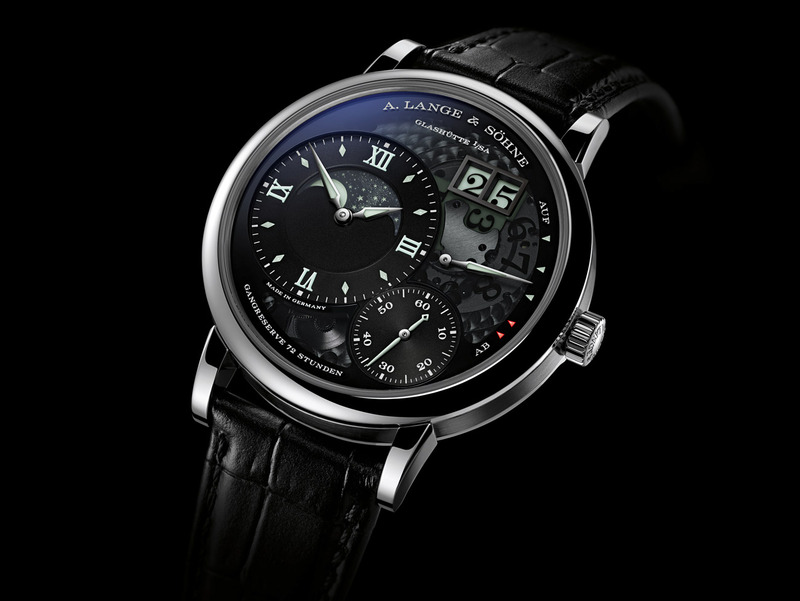 The Lange 1, with the first outsize date in a regularly produced wristwatch, has become a true icon of the brand A. Lange & Söhne since it is one of its biggest successes. 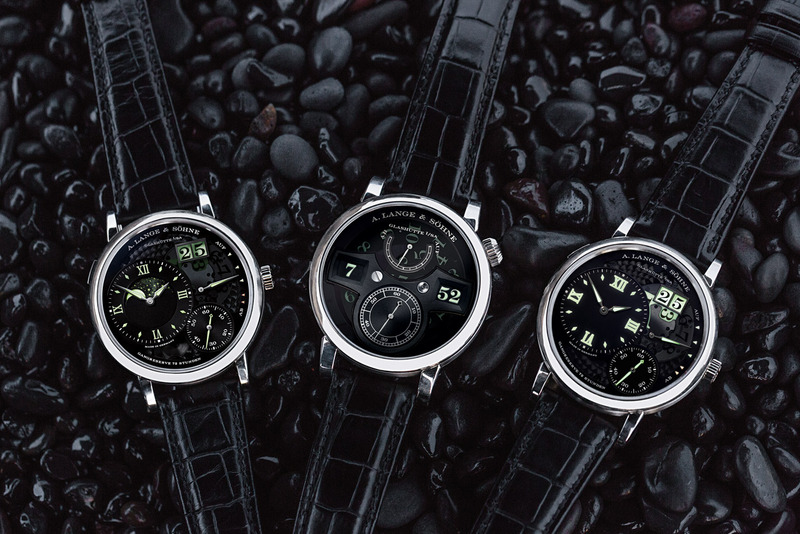 This new model, limited to 200 units, features a main dial with a moon-phase display that reproduces the lunations with the accuracy of 99.998 per cent. 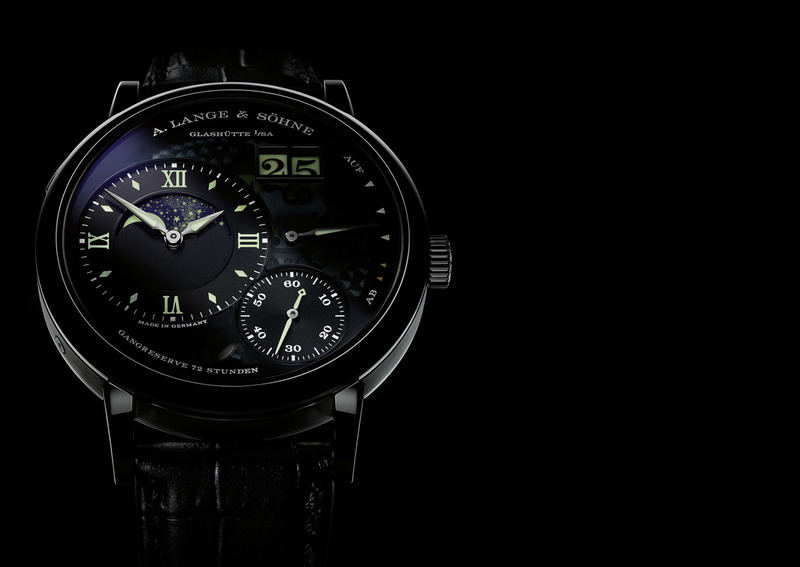 Another great watchmaking prowess already displayed on the previous version, the Grande Lange 1 Moon Phase “Lumen” reveals its ingenious disc configuration of the Lange outsize date thanks to a semitransparent dial in sapphire crystal tinted in black. Unlike the Saxon manufacture, the lunar disc is not made of gold. 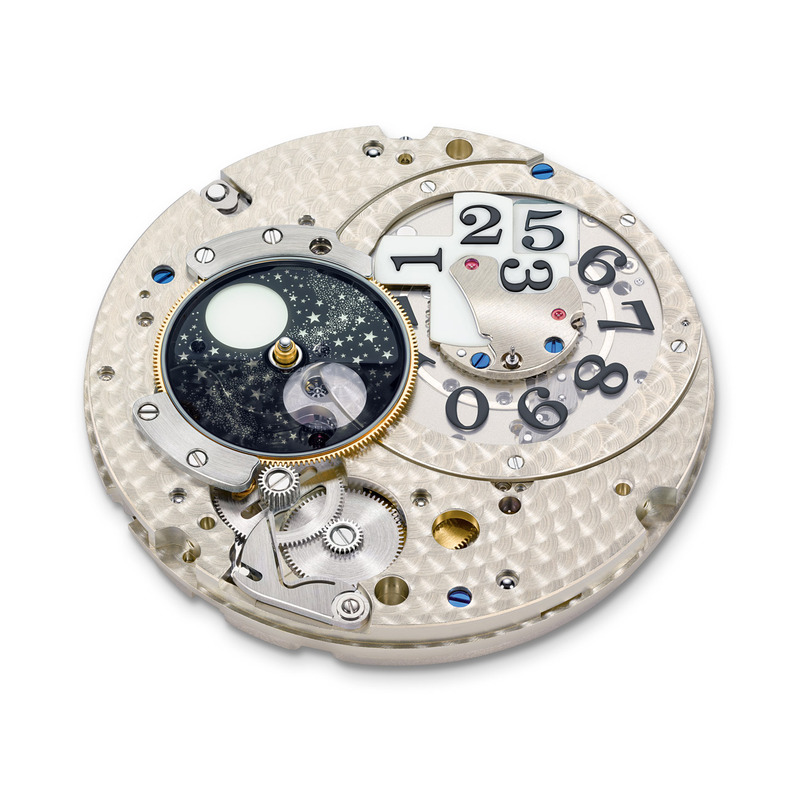 The Grande Lange 1 Moon Phase “Lumen” has a disc made of glass. The surface has been treated with a patented coating process. This special coating applied on the glass blocks most of the visible light and allows the UV rays to pass freely. This disc then goes through a laser-cutting process that cut out 1,164 stars as well as the moon. Behind the lunar disc, the brand chose a luminescent compound in order to highlight the stars in a burst that is both mystical and unique way. At night, it is a fairy-like spectacle: the luminous pigments of the outsize date mechanism glow in the dark as well as the stars, hands and dial details. 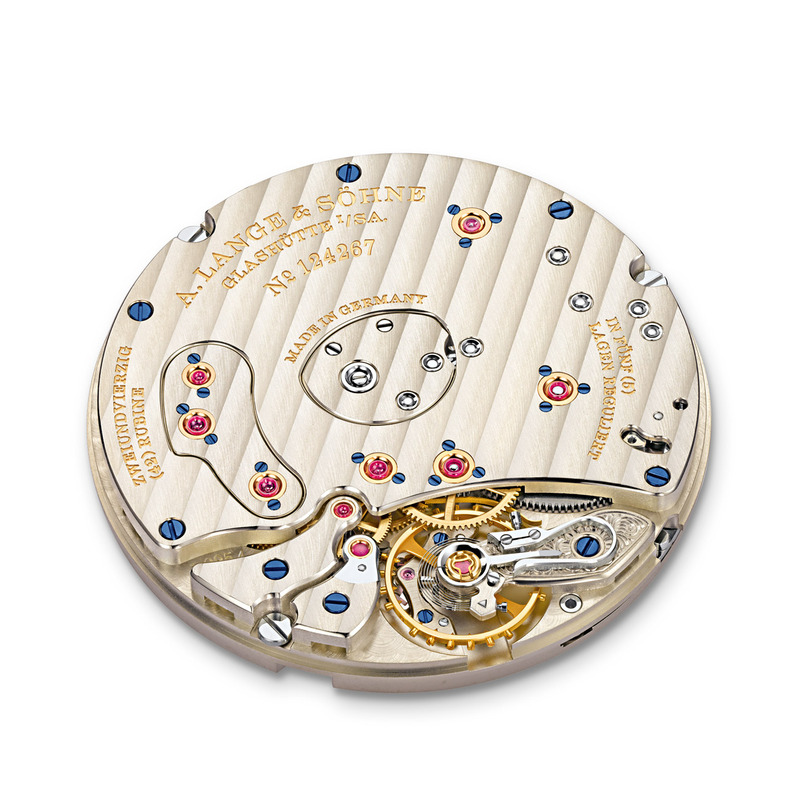 The L095.4 manually wound caliber of this new model, elaborately finished, is assembled twice and represents the quality of A.Lange & Söhne timepiece. Its large mainspring barrel also offers a power reserve of 72 hours. A platinum deployant buckle and a hand-stitched alligator leather strap will embrace the wrist of the owner of this very sophisticated Grande Lange 1 Moon Phase “Lumen”. 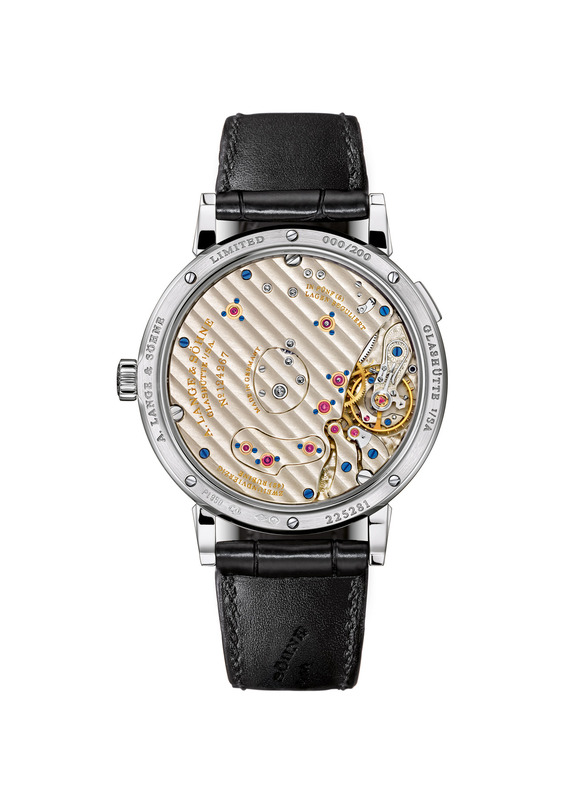 This exceptional piece is available in a 41 mm platinum case. 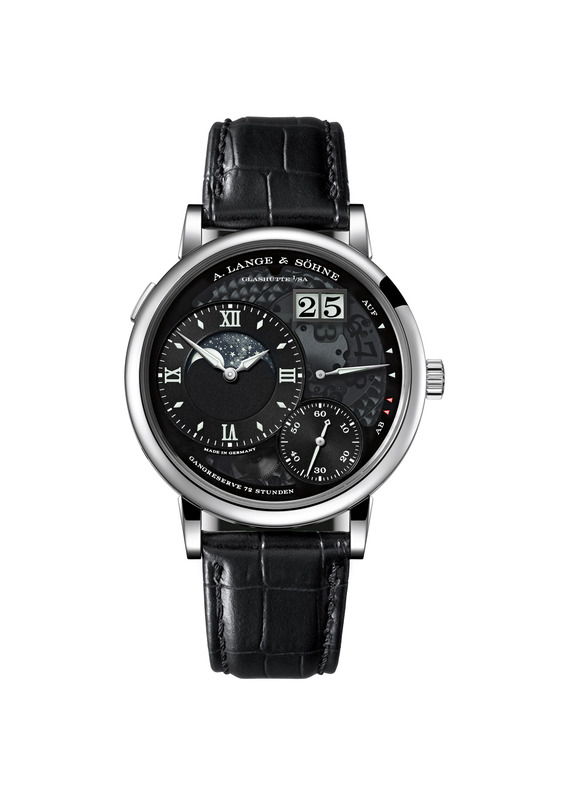 Find a A.Lange & Söhne shop. 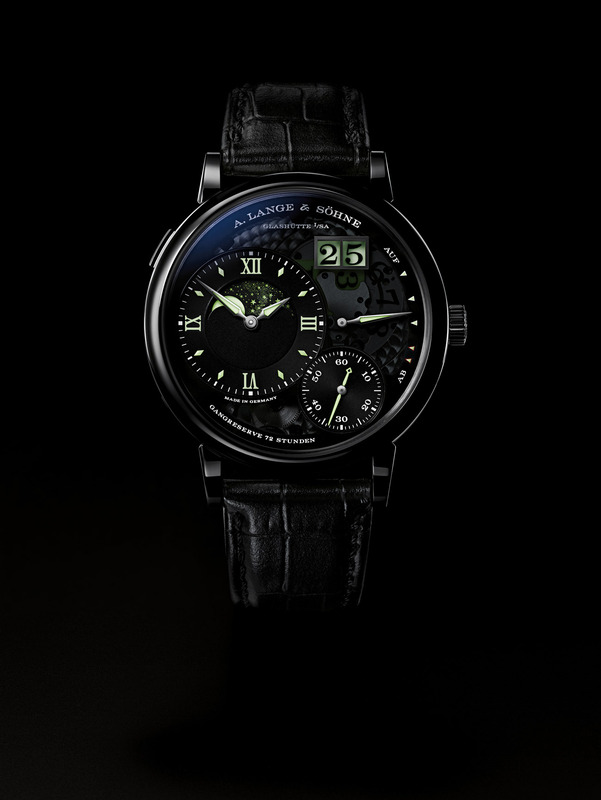 Share the post "Extreme precision and magic glow with the new Grande Lange 1 Moon Phase “Lumen”"